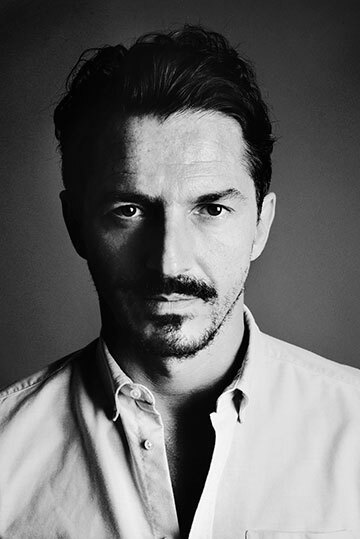 American-born designer Peter Nitz cultivated his eye for antiques and artisanal luxury goods working in a Chicago auction house, before the old world splendour of Europe beckoned him to zurich. A chance encounter with a retired Hermès craftsman in Paris saw Peter delve into the artisanal world of handmade maroquinerie, which he combines with a knowledge and passion for fine jewellery to create opulent bespoke handbags and accessories in exotic skins adorned with precious stones and accents of decorative metalwork. Peter’s designs are saddle-stitched with linen thread and are safely protected in a leather-covered drawer. 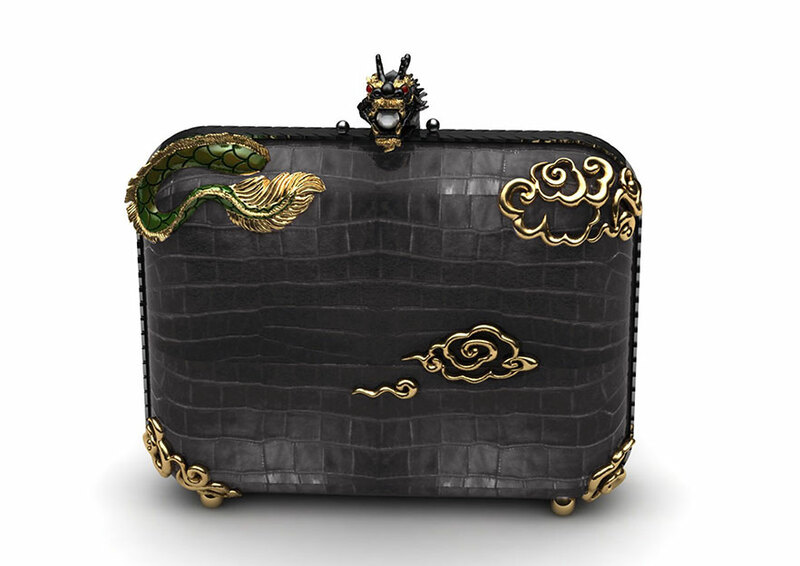 The “Dragon clutch” is an exceptional, one-of-a-kind evening clutch created in partnership with Lotus Arts de Vivre, fusing Peter’s classical romance with the Eastern exoticism of the dragon. 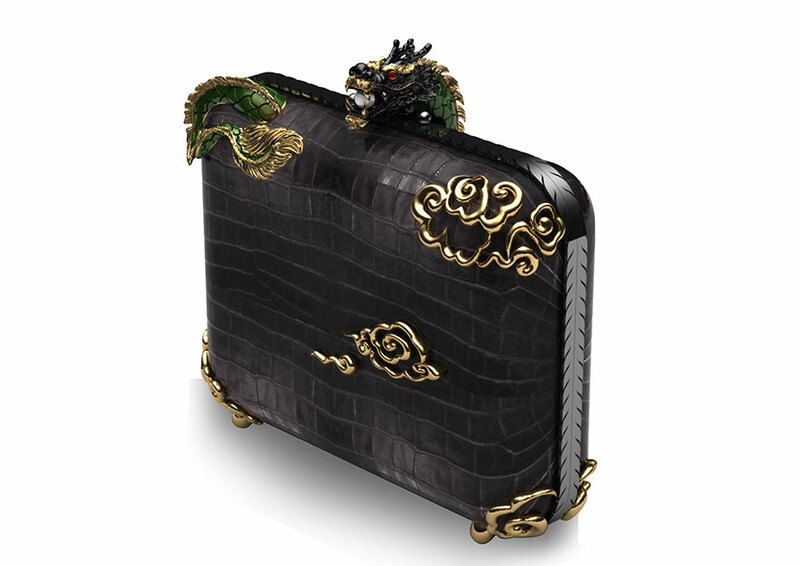 Shaped in dark grey, matte alligator skin, the rounded box shape features an engraved frame and is closed by a dragon’s head clasp – its eyes two shining rubies, the mouth clutching a grey pearl. His goldplated silver tail sweeps around the clutch, joined by curls of abstract cloud designs.